As so many of you know with the release of my first book last fall, Arm Yourself: Equipping Ourselves with the Armor of God, God has also called me to begin a speaking ministry. This I am truly excited about. But I need the chance to learn, grow and thrive as God continues to grow my writing, blogging and speaking ministry. 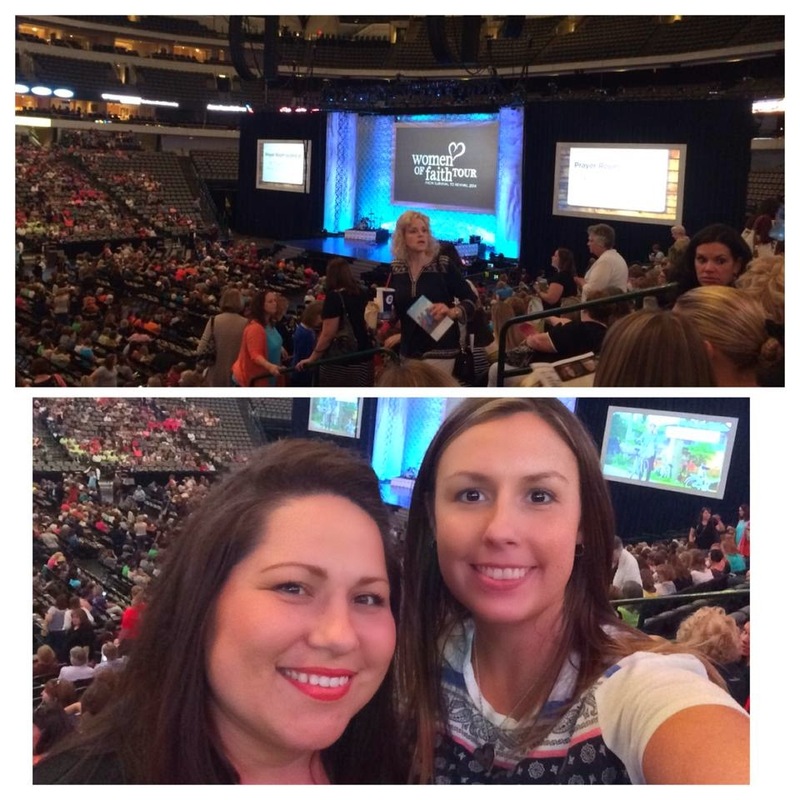 I had the honor of attending Women of Faith last September in Dallas and it was a blast! I was so blessed and encouraged by the powerful women of God and the incredible moment when I met Nichole Nordeman. This year I am looking for more opportunities to soak in God's word and really be mentored by these incredible women! Going to a conference like this would mean the absolute world to me!! 2015 is the year of big things for me, which means big things for you! I pray everyday for God to continue sending new ways and different ideas to keep me inspired, motivated and creative when it comes to encouraging all of you amazing and strong ladies out there! To have the opportunity to go behind the scenes with a VIP pass and get the chance to meet these ladies and be inspired by their strength and faith is a dream come true! The speakers I am most excited about is to get to see some of the incredible women of the tv show , Duck Dynasty. I was a big fan of their book when it came out, Women of Duck Commander. Incredible stories of God's power displayed throughout their lives and their steady foundation of faith, even through fame and fortune, is extremely rare in today's world. Please join with me in prayer that the Lord will allow this opportunity to come my way. Whether I am chosen for this opportunity or not, I hope and pray lives will be transformed through this incredible conference. I pray that Jesus will rise up women all across our great nation to take their stand for Jesus! I am praying for you too sweet girl that God will give you the opportunity to go to this wonderful event to glorify Him! Love your blogs! I'm sure Women of Faith was amazing! This conference sounds incredible. I wish we could all go!